Delight your little loved one with a new creature companion. Choose from a family of soft friends including Amy the Mermaid, Kenzie the Unicorn, Finn the Giraffe, Ms. Rory the Puppy, Austin the Lion, and Charley the Fox. 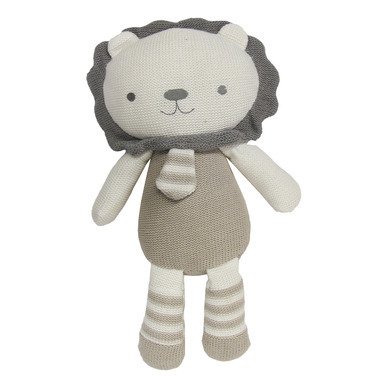 Each cuddly knitted plush toy is 100% cotton for the softest snuggles and contains a jingling rattle for playtime.